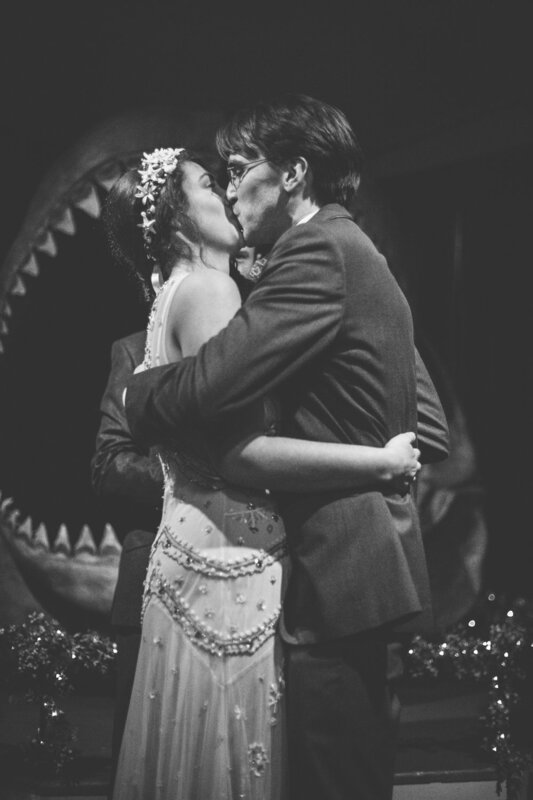 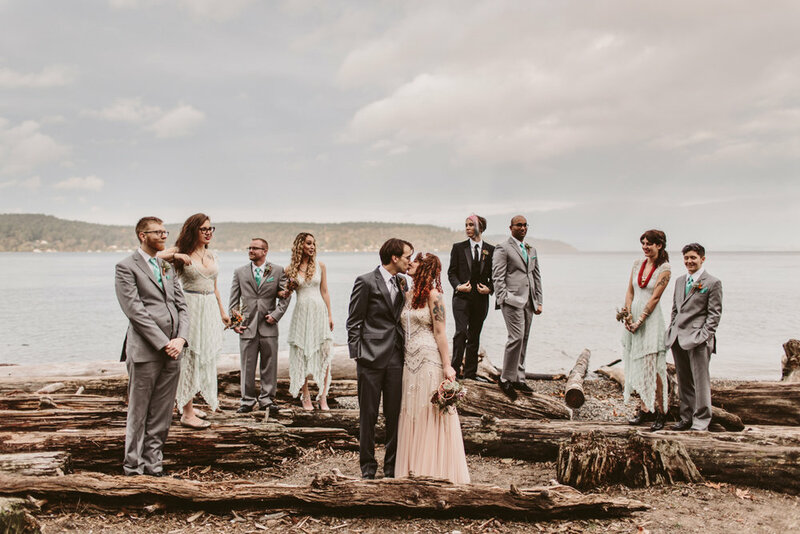 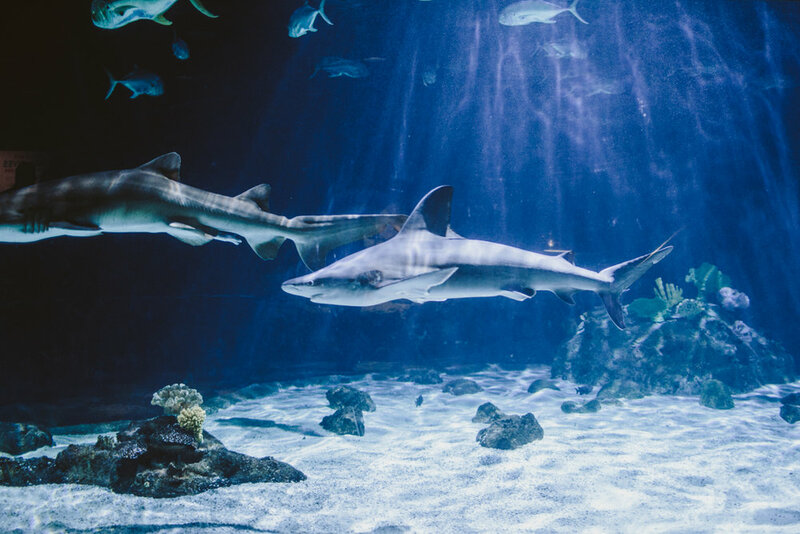 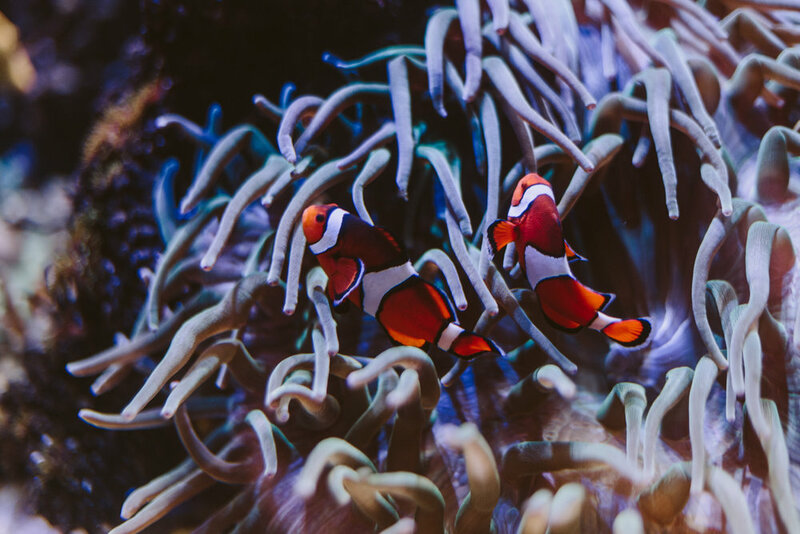 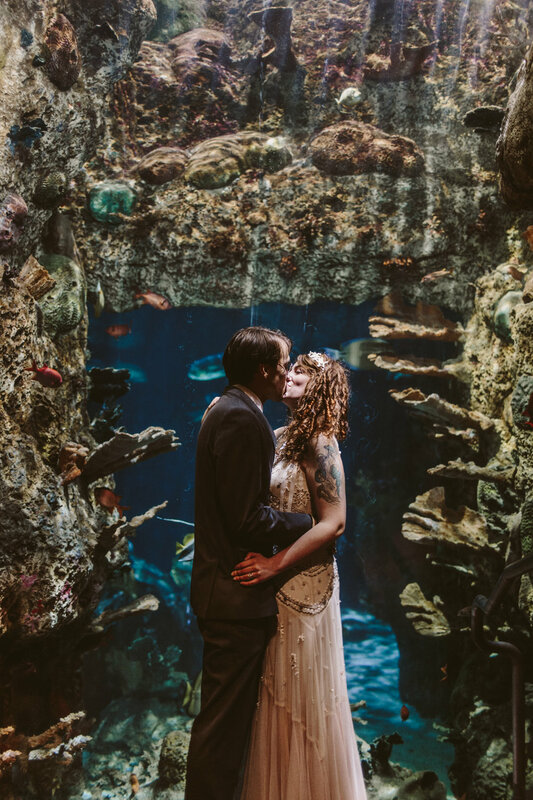 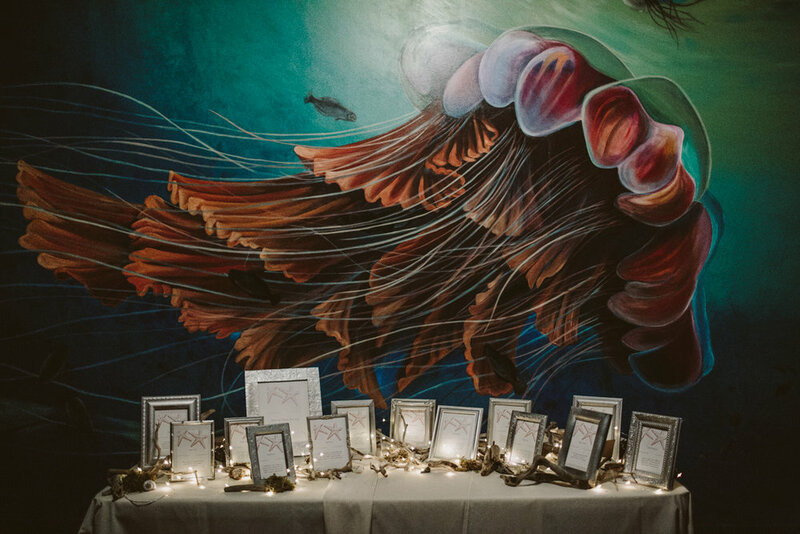 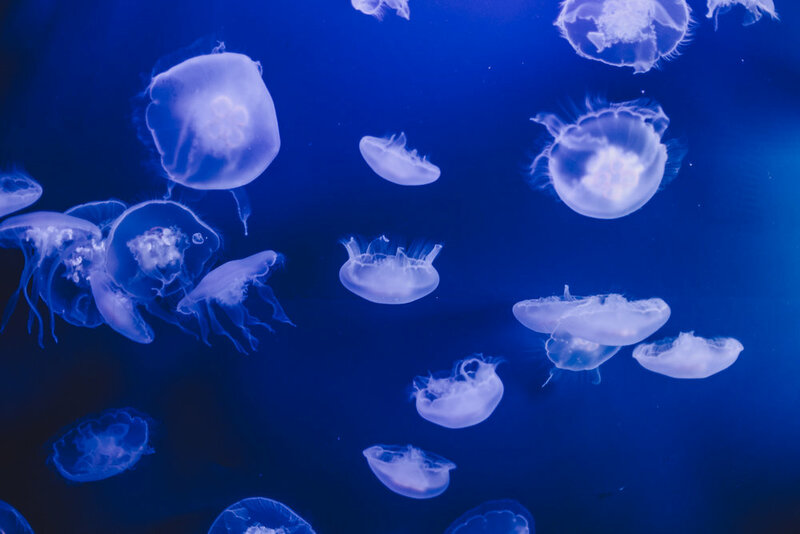 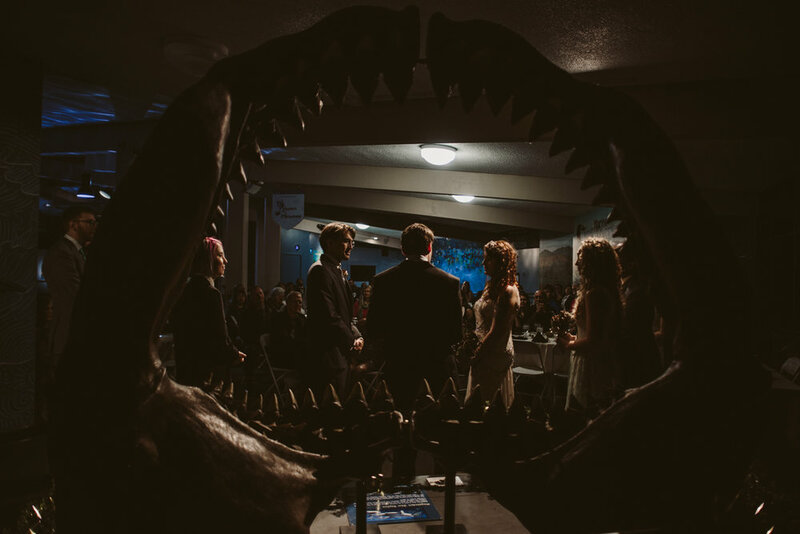 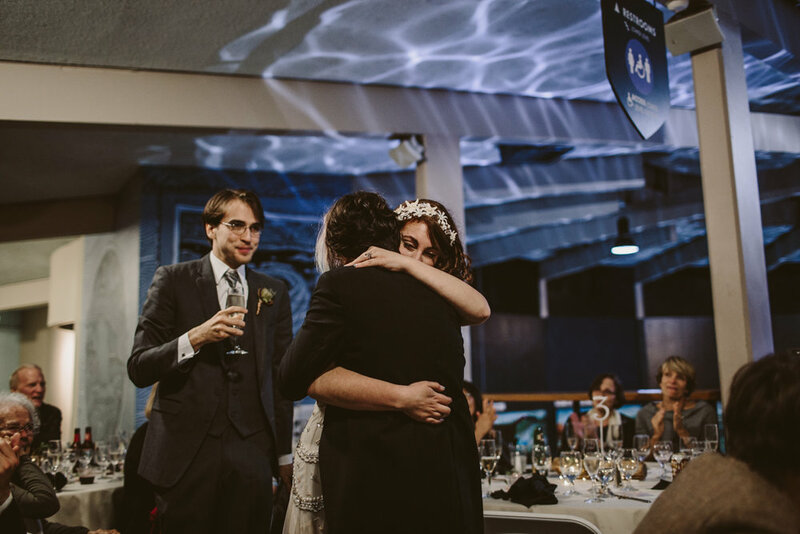 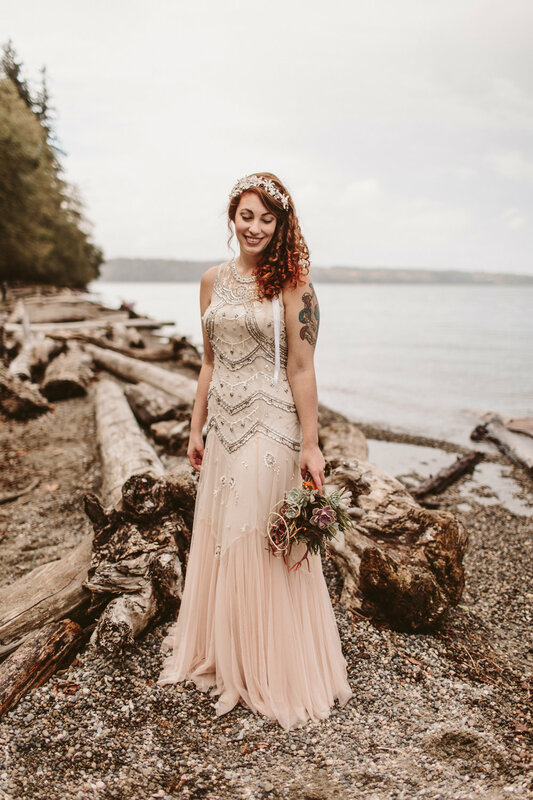 Bethany + Tyler got married amongst the sea creatures at Point Defiance's Aquarium back in November, while lil' ol' me was 8 whole months pregnant. 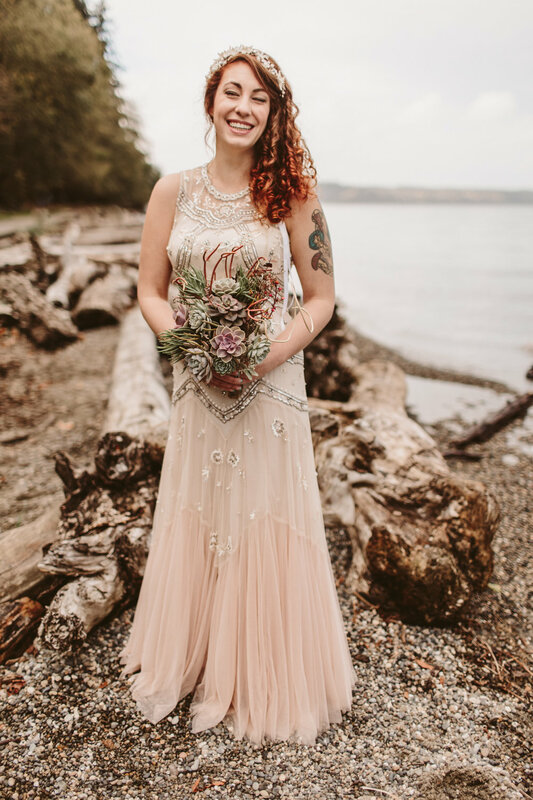 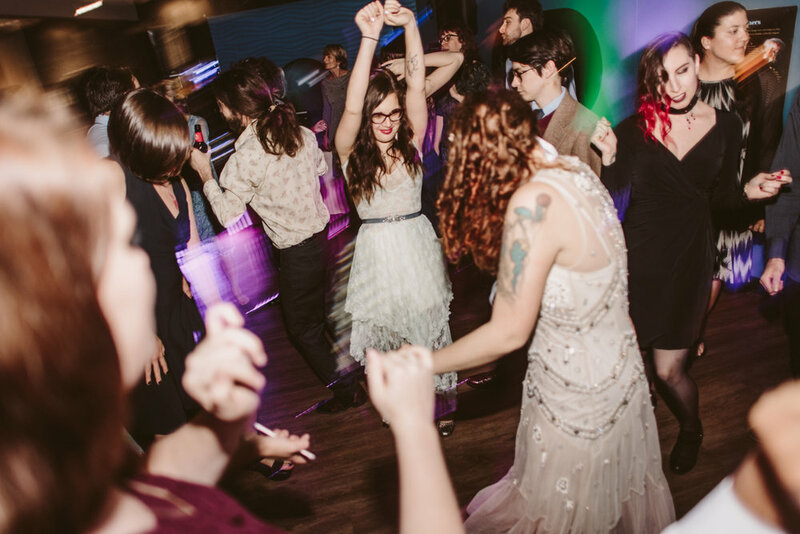 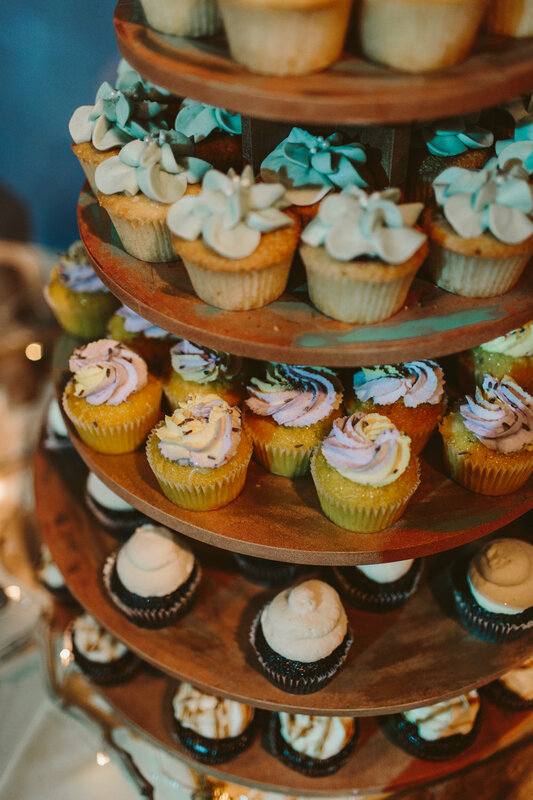 If you're wondering why it's taken me so long to get this wedding posted, the whole pregnant/birthing/newborn thing maaaayy have been a contributing factor. 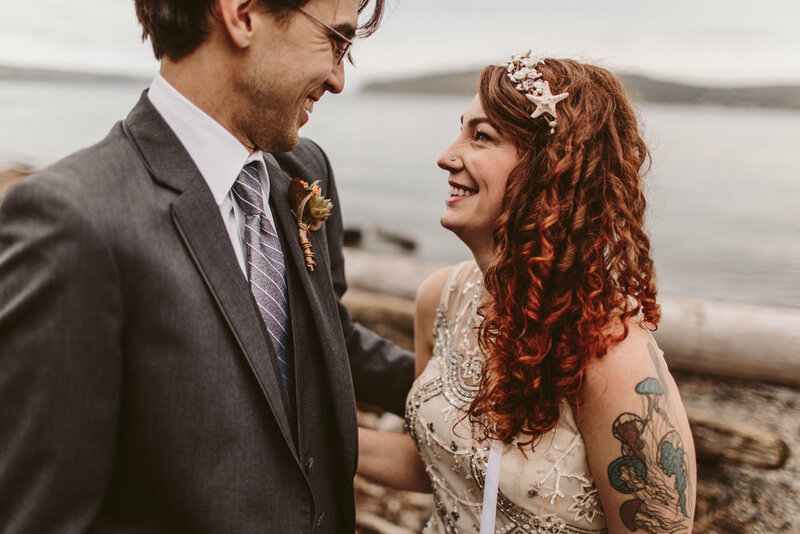 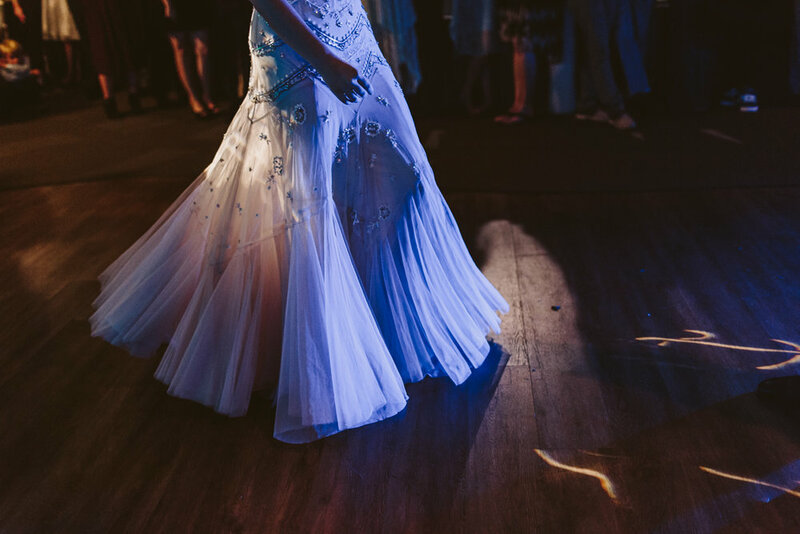 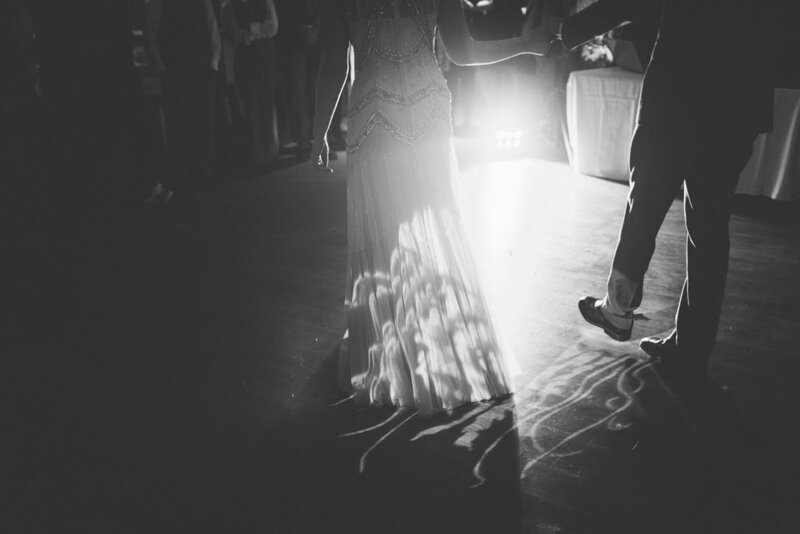 I'm so excited to finally get Bethany + Tyler's big day featured here on the blog! 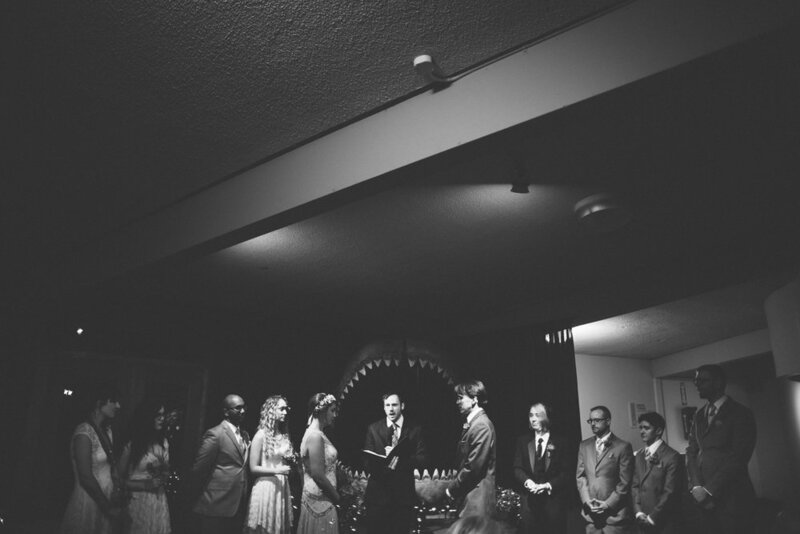 I've taken Bethany + Tyler's photos for a few years now. 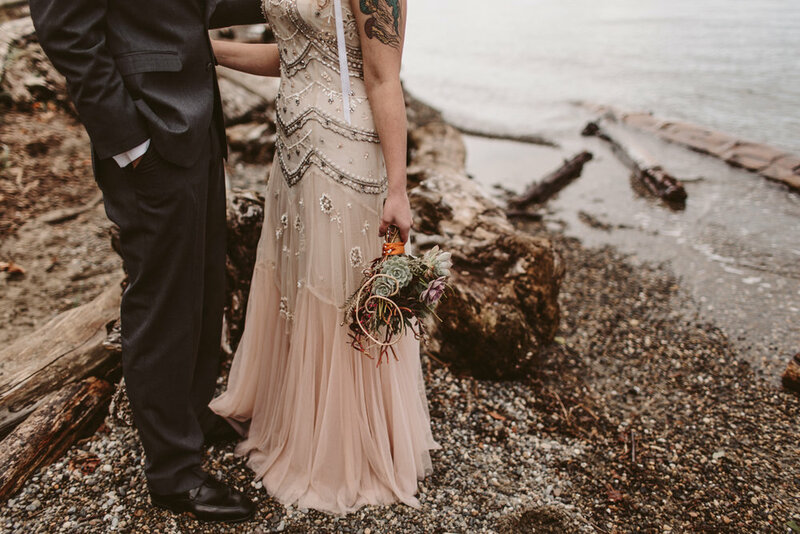 I did a shoot of them before they got engaged, then I did their engagement photos, and now their wedding! 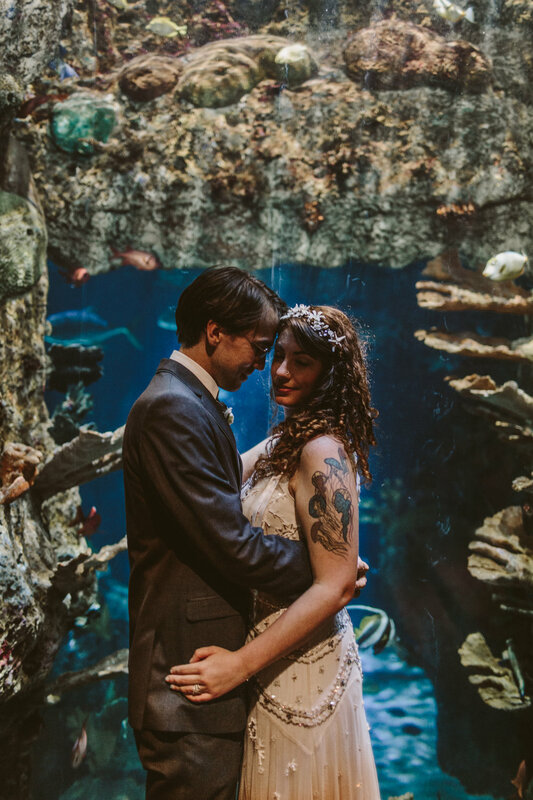 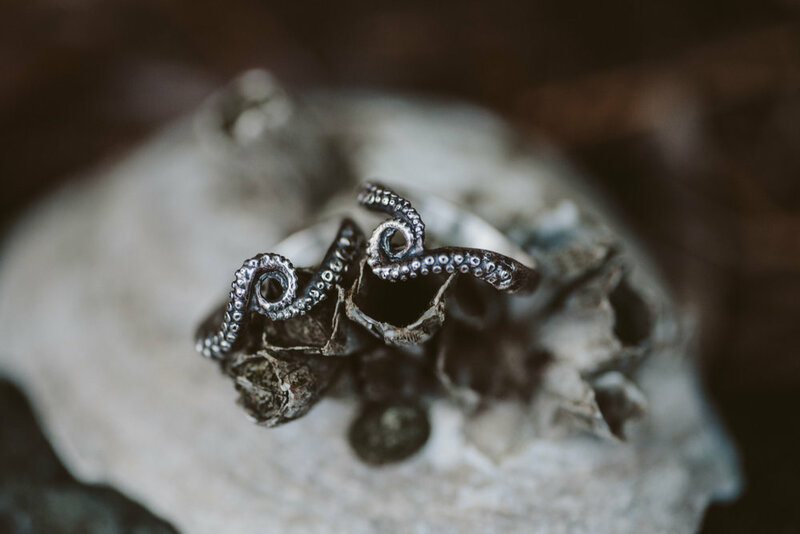 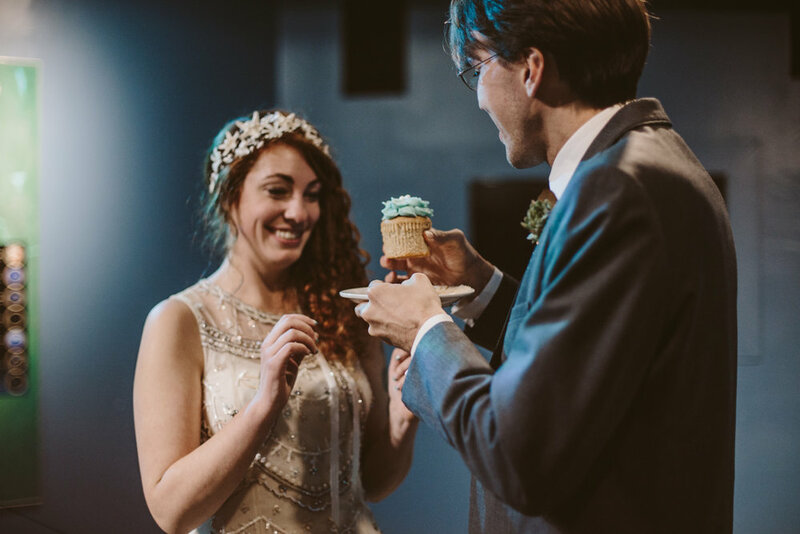 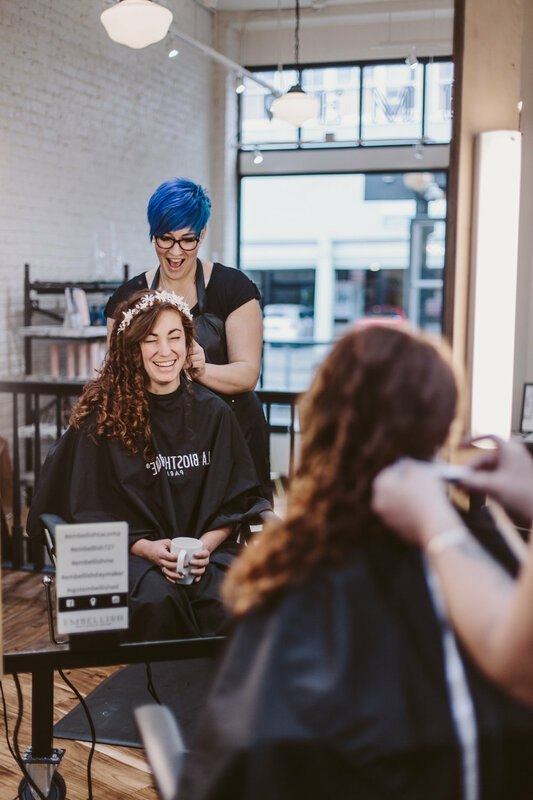 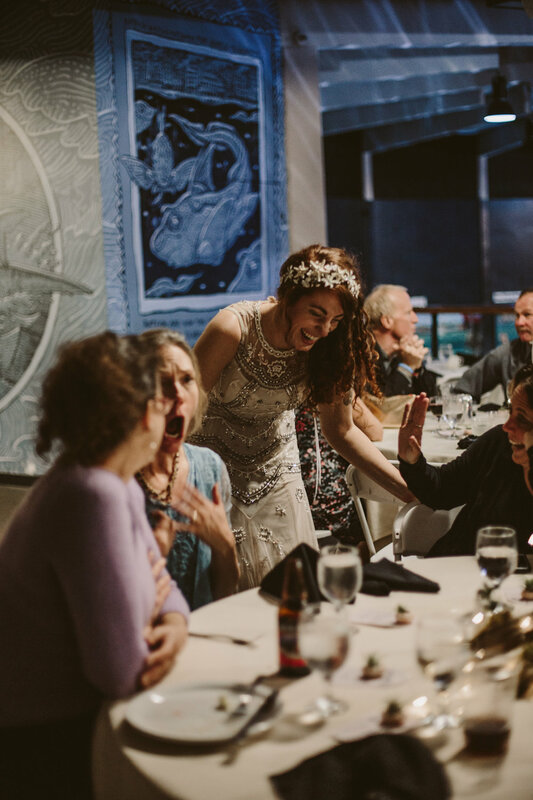 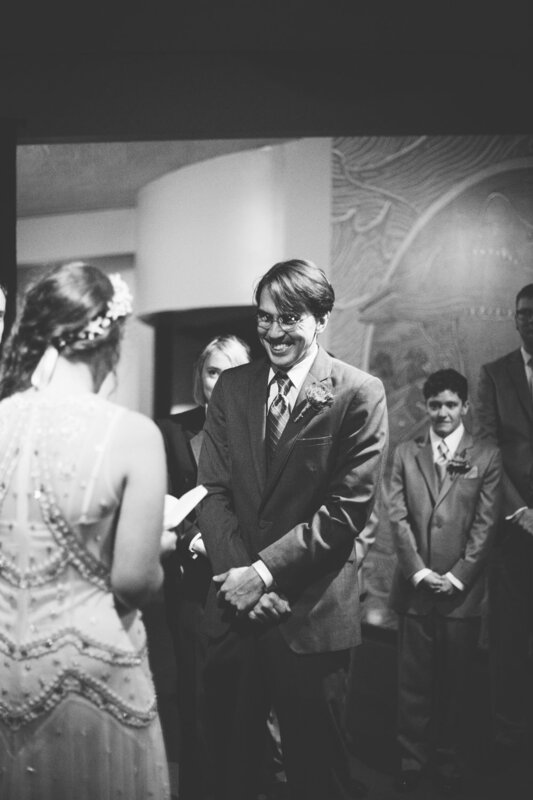 Bethany loves sea creatures, has an amazing jellyfish tattoo, and their wedding/engagement rings are these super-cool tentacle rings from Octopus Me, so having their wedding at PDZA was so perfect! 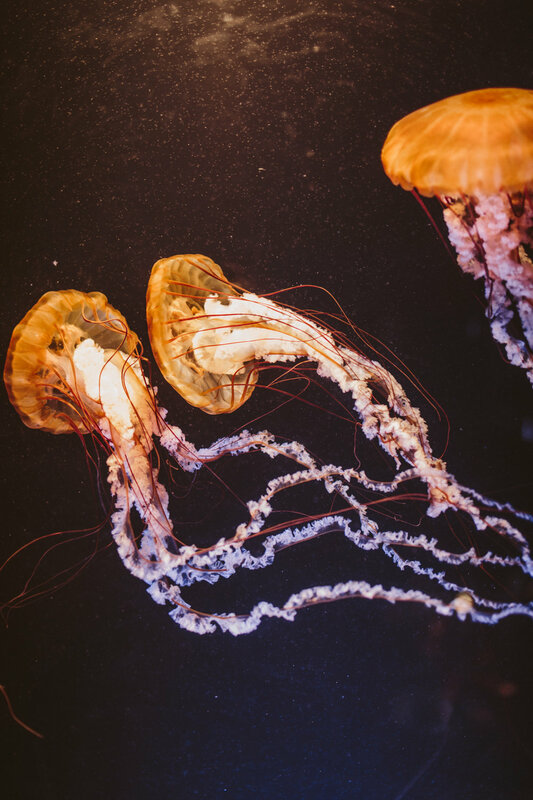 The aquarium was also featuring Jellies at the time, which was even more perfect!